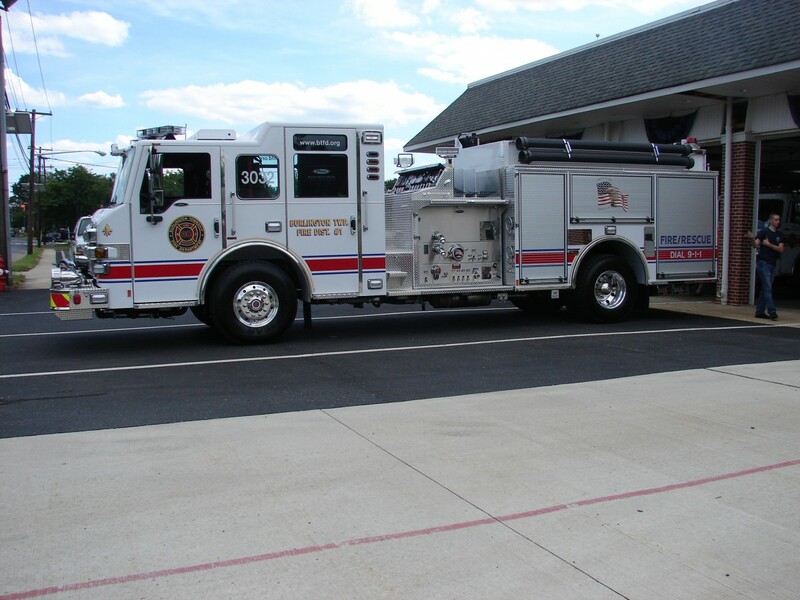 The Burlington Township Fire Department took delivery of a new 2014 Pierce Impel Pumper designated as Engine 3032. The truck is housed at Fire Station 303 on Neck Road. It replaces a 1993 Pierce Lance Pumper which will be sold at auction. The truck is a twin to Engine 3022 which is housed at Station 302 on Beverly Road.